Google Podcasts app is now live for Android users who want their podcasting needs taking care of by the brand that knows you best. Google Podcasts isn't the most full featured podcast app out there but it's lightweight nature combined with Google's know-how could end up making it your go-to choice. The new standalone Google Podcasts app for Android (no iOS plans yet) isn't all that different from the podcast player that had been built into the Google app for some time now. It's basically the same service in a more easily accessible package. About two million indexed podcasts are ready to listen to at launch so there's plenty of content. The user interface is minimalist and clean, uncluttered by ads and graphics, so its easy to find and subscribe to podcasts, download episodes for offline listening, and adjust playback speed. 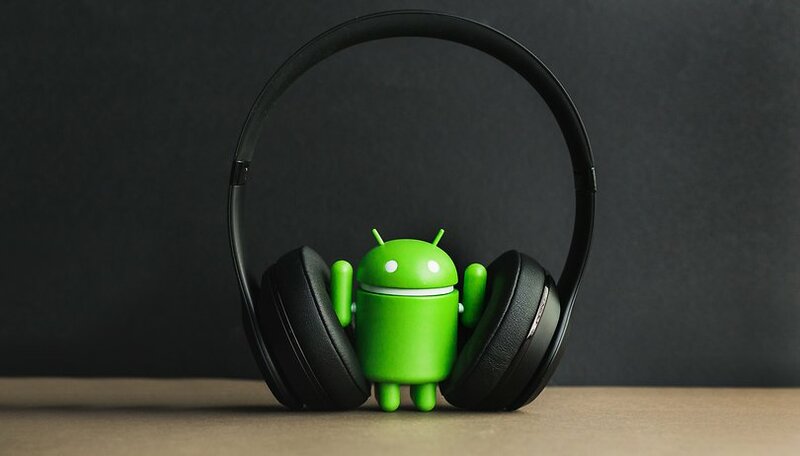 While I'm a fan of a minimalist approach that just keeps the fundamentals fast and easy, Google Podcasts lacks a few features that the competition has gotten me used to. For example, there's no button to subscribe to a podcast from the search page or recommended list, it can only be done from the podcast itself. Then there's also no option to auto-download new episodes from your favorite podcasts as they are released. So far, not exactly a bad start, but far from the best podcast solution out there for real fans of the medium. Still, Google Podcasts does have an advantage that could prove a winner over time. Google Podcasts benefits from being a part of Google's ecosystem, and of course, the company's reserves of data about your and what you like. Google might know you better than you know yourself and can use what it knows about you from your search history and subscriptions to offer personalized recommendations fine-tuned to your personality on a level that other services just don't have the data to offer. Apart from that, Google Podcasts has also been integrated into the Google Assistant, meaning the Assistant will take care of syncing between your devices. If you start a podcast on one device, you can ask another device to play it and it will pick up where you left off. Say, you're listening on your smartphone on a walk, then come home, put down the phone and ask your Google Home to carry on with the podcast. Want to try Google Podcasts? Get it on the Play Store. At the moment Google's Podcast app still feels kind of half baked, but promising. There's still a lot of improvement, and Google has announced plans to integrate Google's speech-to-text and Translate prowess in order to offer podcast subtitles as well as translations, something that would really make the app stand out. For the moment, we'll just have to wait and see whether the big G really puts in the effort. Have you tried Google Podcasts? How do you think it measures up to the competition? just install the app.. and dissapointed..only found few resources.. hopefully it can be better later.. I have only one requirement for any podcast player: Once I set it up I never want to go into the app again. IOW, the podcasts should automatically download, queue up in the player and play them in chronological order. All without any intervention by me after I've selected the podcasts I want to subscribe to. I can do that with BeyondPod, does Google's podcast player do that? I don't care about discovery or finding podcasts, just play the ones I subscribe to automatically. That's it!